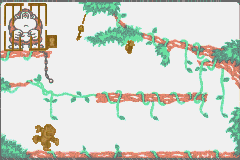 Nintendo Donkey Kong Jr. Game & Watch remake. Basic game framework done but baddies still need to be done! Source code for Dragon BASIC & a C++ Version included. Donkey Kong Jr. Game & Watch Demo NEWEST!